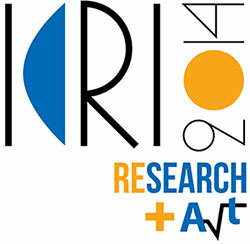 The "Research and Art" competition and exhibition project was an initiative of the "Athena" Research and Innovation Centre in the context of the 2nd International Conference on Research Infrastructures held at the Megaron International Conference Centre in Athens, 2-4 April 2014. 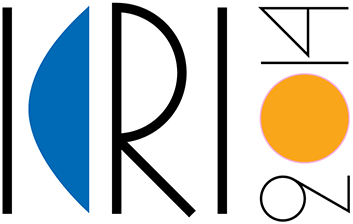 Approximately 420 submissions were received, out of which a three-member committee selected 53 works (17 photographs, 31 paintings / works on paper and 5 video art works) to be exhibited at the Megaron, during ICRI 2014. Among the successful submissions, the selection committee further chose nine works worthy of distinction as well as the one work deserving the first prize of the whole "Research and Art" competition and exhibition. Why do the eyes of an artist stop to gaze upon an image derived straight from the field of science? What is it that makes a researcher suddenly look at his findings in the light of an artistic quest? Is there truly an intersection between the world of art and the world of research? What makes legitimate the crossing of the dividing lines? Art has always shown an interest in science: from Renaissance art and Leonardo da Vinci with his studies in physics; 19th century art nouveau with its influence from shapes and colours emerging from biology and the invention of the microscope; 20th century art with the Surrealists seduced by Freud and psychiatry; the acclaimed James Turrell working with the optical illusions of light; the young Chinese WU Juehui dealing with the visual aspects of neuroscience. Artists worldwide have long detected in research and science formal stimuli which give new perspectives to their work. Nevertheless, partly due to the rapid development of digital technology, the creative approach to art by scientists and researchers has proven exceptionally fruitful during recent years. However, this is not true when this approach has merely isolated or reproduced images amply met in the course of a scientific trajectory. Science is allowed to dwell in the domain of art when it manages to provide aesthetic insight into what the scientific eye comes across; to offer a glimpse of the traces of creativity where it is not expected; borrowing the artistic idiom, to bring out unforeseen dimensions of the external reality it investigates. Artists do not pretend to be scientists and scientists do not play the part of artists. In the present coexistence of artists and researchers, art has been called to look into the world of science and science to walk along the pathways of art. Examining the works on display here, it is clear that, on both sides, specific obsessions created different starting points and goals, which led to different results. However, what has been sought as common to all is a reaching out to a poetic transformation of the object depicted or the image captured; a pursuit of aesthetic emotion beyond the apparently perceivable. When science reaches its highest levels, it ceases to function according to the dictates of logic and moves towards the realm of intuition. When art delves deep into the intrinsic discipline responsible for its very existence, it borders on a spiritual reasoning. Then science and art have met, as naturally and as strangely as a body carries its own soul. Insurance of works: Lloyd’s – G. Karavias & Associates Ltd.